On a recent visit to Washington, D.C., one of the Cold War Air Museum correspondents visited several of the war memorials there. A previous post presents pictures from the Korean Veterans Memorial. 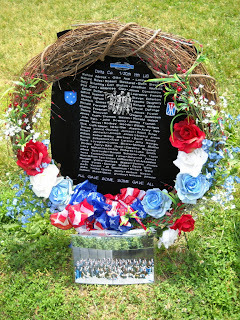 Today's post features some pictures and background about the Vietnam Veterans Memorial. The memorial includes several different elements. The "Three Soldiers" statue, added in 1984 complements the "Wall" with a "more conventional" display of soldiers or marines in their battle dress and gear. The Vietnam Veterans Wall is the best known element of the Memorial. Stretching a distance of 246 feet, nine inches (75M), it includes the names of 58,175 killed or missing in the conflict. The Wall begins with the names of the first known American casualties in the conflict. The wall rises from 8 inches in height to over ten feet (3 M) and then falls to a height of 8 inches again. Visitors often bring and leave flowers at the wall. Names on the wall are in chronological order. Volunteer guides assist those who are looking for specific name locations. Vistors often reach out and touch the names of loved ones or ones they have known. As visitors pass, their reflections shine back at them. The exit from the walkway looks east to the Washington Monument. 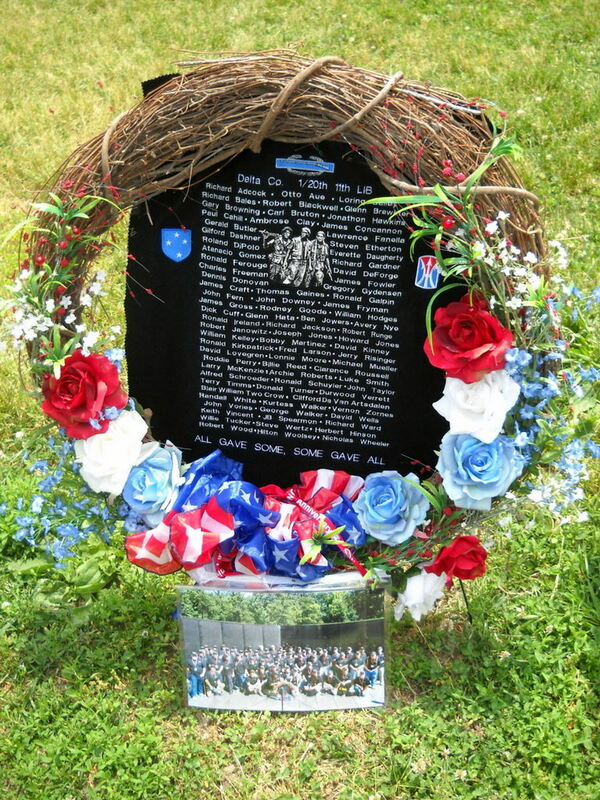 The grassy area across the walkway often has displays such as this one from a veterans group, displaying a reunion picture in front of the wall. People told me to get my Vietnam visa from www.greenvisa.io/ visa service but I didn't hear. But you should not do the mistakes that I did, just use the best visa service. i have found one of the best portal for information i was looking for.